1) after rolling, the surface can easily get the mirror effect. 2) ordinary grinding generally cannot achieve the effect of mirror. 3) the workpiece surface has the effect of cold hardening after rolling. Be careful with brittle materials and less rigid workpieces. 4) improper selection of grinding parameters may cause burns on the surface of the workpiece. 1) the material of the rolled piece is simply matched with the material of the roller. 2) the grinding wheel (abrasive, particle size, hardness, adhesive) must be selected according to the material requirements of the workpiece. 3) the dimension after rolling is not easy to control, and can only achieve the effect of “mirror”. It is difficult to achieve the requirements of high-precision dimensional tolerance and geometric tolerance. 4) grinding can control the size and position tolerance of the workpiece more accurately. 5) it is necessary to use a burnishing grinding machine to meet the requirements of burnishing and grinding. 6) the rolling process can only process the straight bus. 7) the complex contour bus can be ground through the shape of machine tool and grinding wheel. 8) the rolling efficiency is higher than grinding. Whether your workpiece can be rolled on the lathe instead of grinding must be determined according to the requirements of your workpiece and the data obtained through the process test. 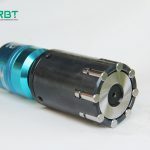 Some key problems that are difficult to realize can be solved by roller burnishing tool. For example, the processing of the extra-large cylinder. It is also suitable for finishing of special holes or some special materials. 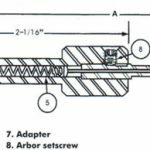 ← How is the internal groove single roller tool used for processing?